Nathan Resika commented on a previous post about multiple Mike's, Capablanca's, and Marisol's. While carving out a niche for himself as a Mozartian singer who also often interprets modern works, Bass Nathan Resika has been praised for his “sonorous” voice by more than one critic. Metropolitan Opera tenor and diction coach Nico Castel wrote that Nathan is ”gifted with a splendid bass instrument…musical…intelligent..He had an excellent working relationship with his colleagues”. Of Nathan's february'09 performance in Center for Contemporary Opera's "Dr.Jekyll and Mr. Hyde", Award winning composer Barry O'Neal noted "Nathan can really act with his voice,which has an amazingly rich, dark sound,with powerful low notes". Raised in New York City by a musical family, Nathan sang, acted, and played classical & folk guitar from an early age,and continued his studies at both New England Conservatory and the Longy School. Nathan’s rising career has seen him performing roles with, among others, the Caramoor Opera Festival, the Center for Contemporary Opera, New Jersey Opera, Connecticut Lyric Opera, the Belleayre Music Festival, Utah Festival Opera, and Opera Orchestra of New York’s Artist Program. Upcoming performances include a May 9th concert as bass soloist in Beethoven's Ninth Symphony with the New Britain Symphony and Hartford Chorale , Colonna(cover) in Wagner’s Rienzi with Opera Orchestra of New York at Carnegie Hall(2010) , Colline in La Boheme with Opera in the Heights(Houston, 2010), as well as Don Silva in Ernani(2011), also with the latter. Highlights of the pastyear and 1/2 have seen Nathan performing the title role in Le Nozze di Figaro with Opera in the Heights, Polyphemus in Handel’s Acis and Galatea at the Irvington Music Festival, Colline in New Jersey Verismo Opera’s La Boheme, Il Commendatore in Don Giovanni with St.Petersburg Opera, and Don Alfonso in Cosi Fan Tutte with Underworld Productions at Symphony Space, NYC. In July, Mr.Resika made his debut at Caramoor as the Marchese di Calatrava in La Forza del Destino(while covering Padre Guardiano), and accompanied tenor Barry Banks on classical guitar in Il Barbiere di Siviglia (while covering Don Basilio). Recently performed roles also include Ferrando in Il Trovatore, Bartolo in Le Nozze di Figaro, Masetto in Don Giovanni, Ramfis in Aida, Sparafucile and Monterone in Rigoletto, Police Sergeant in Pirates of Penzance, and Superintendent Budd in Britten’s Albert Herring. Nathan has performed in concert in Hungary, Greece, throughout the United States, and has sung the national anthem at several sporting events. 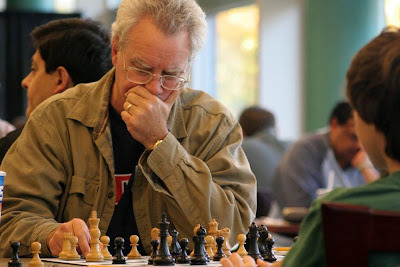 Also a chessmaster and tutor, Mr.Resika has been ranked among the top 200 players in the USA. A guide for the class player on activating your rooks— with meaning! 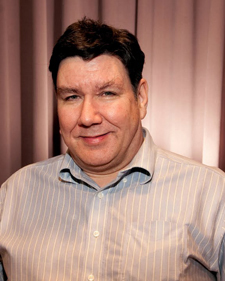 In case you missed it, our own Boylston master and board member has written a readable article well-worth reading in the September Chess Life. Julian Chan is the 2009 BCF Blitz Champion. Congratulations. Tonight is the night for all you blitz fans - the game that is - tomorrow is the team Blitz match. Come try your best at the annual BCF Blitz Championship. Win honor and money, or at least have some fun. 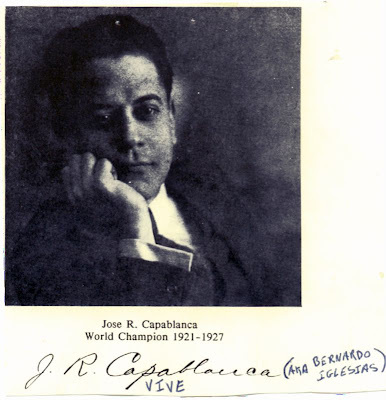 There is no doubt that Capablanca was dead. This must be distinctly understood, or nothing wonderful can come of the story I am going to relate. About four years ago about half a dozen of us went to Mike's restaurant of Davis Square between rounds for lunch. When you order at Mike's, they take your money and first name to call you when your order is ready to be picked up. Well that day I stood behind Mike Henroid and Mikhail Derazhne both of whom gave the name Mike to the waitress. Not wanting to further confuse the Mike issue I gave the name Capablanca and thus I became known forever as Capablanca at Mike's. Then last Thursday night Tom Sifter appeared at Mike's for dinner and Marisol noticed Tom's chess equipment and asked Tom if he knew Bernado and Capablanca. To which Tom responded he knew Bernado and that Capablanca had died! Marisol was horrified?! Later that week Bernado told Marisol that Tom was talking about a different Capablanca. The inscription on the picture that says: VIVE (AKA BERNARDO IGLESIAS) was written by NM Nathan Resika in the 90's when the club was at 140 Clarendon St.
My (oresick) question is, is the Marisol you knew Marisol? The BCC Championship is underway, with a field of nine contenders. Wallcharts are posted on the Boylston crosstables page. This year's Hauptturnier is the largest in years - 19 players in two sections. Andrew Soltis' September 2009 Chess Life column (p. 14), "The Language of Chess", discusses how English has become more and more prominent in the world of chess. That made me think about my recent attempts to find a particular French language chess book, and how I had been a little surprised that the vast majority of books sold by the French Chess Federation's website book vendor were originally English language works that had been translated into French. 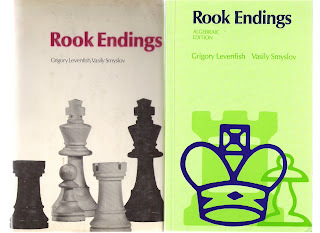 I was looking, bien entendu, for Rook Endings by Levenfish & Smyslov. Like many chess players, I prefer algebraic notation over descriptive. However, when the English edition of that classic book was converted from descriptive to algebraic notation, a large number of errors was introduced, as a helpful reviewer stated on Amazon.com. Playing through whole/partial games on a chessboard, I have my share of experiences coming to a point where it becomes clear that I made an incorrect move earlier, and I have to start over from the beginning because I can't reconstruct the proper position by tracing backward. I don't need a chess book conspiring against me while studying chess, I can do that myself! I can read enough French to use a French language edition of Rook Endings, but haven't been able to ascertain whether such an edition was ever published. Can anyone confirm the existence of same, that it is in algebraic notation, and that it didn't get loaded with errors on its way from the Russian original? 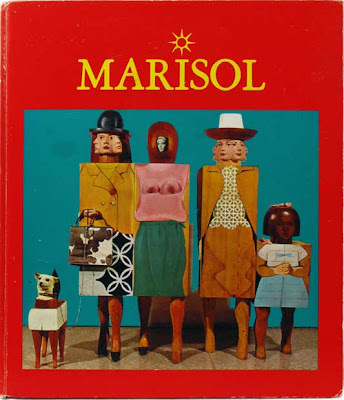 I did learn that a Spanish language edition was published, but aside from the fact that my Spanish does not extend a great deal farther than Ruy López, that book is in Spanish descriptive notation, which is even less enticing to me than English descriptive. One of the coolest things about chess web pages and blogs is that they are living documents of what's considered hot in chess. And not only do they disseminate current events that reflect chess life at the moment simultaneously they are building a view of chess into the past. The crosstables stored by the USCF since 1992 are a great resource. Over time we are building a history unlike anything seen before in the chess. The BCF has gone out of its way in preserving much about Harry Lyman. And in addition the current BCF webpage is growing an asset about all local chess players great and common alike. And I get a warm feeling when I occasionally view old photo's on the web site of all people, some now looking older, among those photos. Especially the players who have passed away, for example: Greg Hager, Everyday Ed Lafferty, Gus Goselin. Plus photo's of players who are no longer active around here, example: old nemesis Mikhail Derazhne, Kimani Stancil, Hal Fishbien. Great memories of past battles and moments of the past are generated within when I view these. Perhaps we should create a special page of photo's containing BCF players that have gone onto that great chess hall in the sky? It would be nice to realize that some karma of your chess past would even exist after you are gone. Breaking News: GM Larry Christiansen won the U.S. Senior Open in Tulsa, Oklahoma, ceding only one draw to GM Larry Kaufman. 5.5 out of 6 was good for clear first and a spot in the 2010 U.S. Championships. Christiansen said, "It's been a long time since I was the youngest man in my section. But I played like an old man at times!" Larry said that he might have qualified for the U.S. Championship by rating, but was happy to lock in his spot at the Senior. GM Larry Kaufman was clear second with 5 of 6, defeating GM Boris Gulko en route to his finish. He drew Christiansen and, in the last round, drew IM Walter Shipman. As the highest-finishing player over 60, Kaufman wins a trip to the World Senior in Northern Italy. The winner of the 6-round U.S. Women's Open is UTD sophomore WFM Saheli Nath with 5 out of 6. Second was WIM Iryna Zenyuk, who is the top American finisher and therefore qualifies for the 2010 U.S. Women's. Tied for 3rd through 5th with 4 points were UTD freshman Medina Parilla, WFM Chouchan Airapetian, and Jennifer Acon. UTD provided 5 of the 16 players in this first-ever U.S. Women's Open. 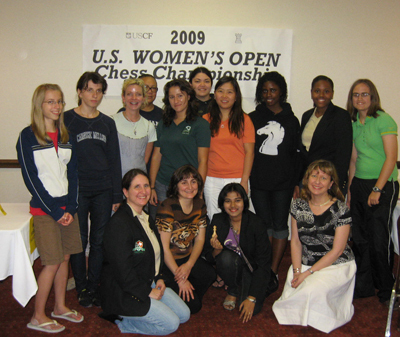 The photo below shows all the participants of the Women's Open, except Margaret Hua and Jennifer Acon. Back row left to right: Joanna Gossell, Iryna Zenyuk, Marilyn Pelias, Helen Jamison, Karina Vazirova, Courtney Jamison, Bayaraa Zorigt, Brianna Conley, Medina Parrilla, Julia Jones. From row is Alexey Root, Chouchan Airapetian, Saheli Nath, and Natasha Christiansen. Well, this result was certainly unexpected and unpredicted. This is my first official event promotion here on the Waltham Chess Club e-mail list, a great way to launch us into fall. We have a rated 2-round G/60 on Friday, September 18, 2009, in honor of the Jewish New Year. This event is FREE OF CHARGE to EVERYONE. It will be held at our usual time (registration 7-7:25 PM; first round around 7:30 PM) and usual place (the cafeteria of the IBM Building in Waltham). This is our first FEE-FREE rated event, and we look forward to holding more in the future. Our website is www.walthamchessclub.org. In addition, for those traveling to Rhode Island, the first Pawn-Eater of the season will be held on this Saturday, 9/12/09. The 3rd Max Malyuta Memorial will be held on Saturday 10/17/09. Their website is http://www.richess.org. I hope as many of you as can make it will come see us in Waltham. See you over the board! In response to a request, the address of the Waltham Chess Club is the IBM Building at 404 Wyman Street in Waltham, parallel with northbound Route 128 (or I-95) between Exits 27 and 28. Both address and directions are on our website (www.walthamchessclub.org). I hope to see as many of you there as can come. Maverick chess master Vladislav Tkachiev falls asleep at the board. 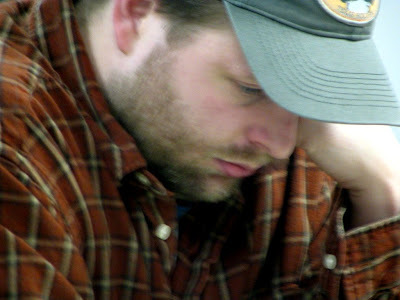 A Russian-born chess maverick has caused a stir by falling asleep at the board after reportedly turning up drunk at a grandmasters' tournament in India. Vladislav Tkachiev, 35, who was was born in Moscow, raised in Kazakhstan and now plays as a Frenchman, had to concede a game at the Calcutta Open and could face further sanctions from the game's governing body. Tkachiev completed only 15 moves in an hour in a third-round match against India's Praveen Kumar after repeatedly dozing off. “Each time he fell asleep, players around would try to wake him up with a shake of the shoulder,” the Indian Express newspaper reported, alongside photos showing Tkachiev with his head resting on the table. “Some even offered him water and Tkachiev, having briefly refreshed himself at the change-room while his opponent waited, dozed off again and eventually had to be carried off." Tkachiev, who is officially ranked 58th in the world, is known as one of the more colourful, fast-living characters on the chess circuit. He has often expressed his frustration at the glacial speed and endless endgames of classical chess, championing instead the rapid-fire "blitz chess" which he says better suits his temperament as a player and which the public prefers. "Blitz modifies the reality," he once said in an interview. "During the game light seems brighter, and beer sweeter." In 2005 Tkachiev and his brother Evegeny - known as "the Blitz Brothers" - angered many chess traditionalists when they set up the "World Chess Beauty Contest", an online contest to find the world's sexiest female player. 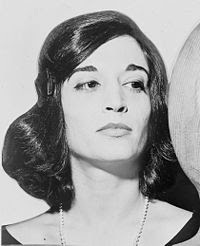 Although some highly-ranked female players supported the contest as a valid bid to raise the profile of the game, others dismissed it as degrading and exploitative "soft pawn". Among those supporting the contest was the British grandmaster Nigel Short, who joined the "chess chicks" judging panel. But Short, newly recrowned as the UK's top player at the age of 44, expressed his disgust at Tkachiev's behaviour in Calcutta and reportedly asked for the player to be ejected from the tournament. 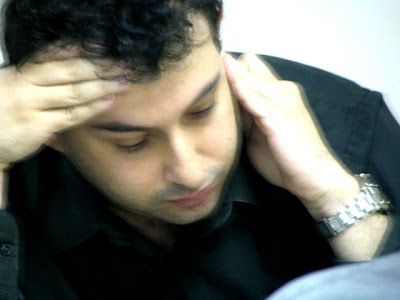 Soumen Majumnder, the co-organiser of the newspaper said that Tkachiev would have to wait until the after the tournament to decide whether he faces a sanction from chess authorities. “What happened is unfortunate, it's in bad taste," he told the newspaper. “It’s in bad taste. Once the event is over, we will hold a meeting and decide how to proceed against this player." 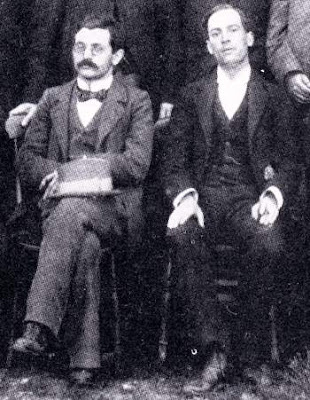 Emanuel Lasker (world champ 1894–1921) is my favorite chess player. Lasker played the opponent, had no weakness in his game, and had a chameleon like quality where he would try and put his opponent thru a torture test during a match. Bobby Fischer took after Lasker in 1972 when he played non e4 vs Spassky thus throwing out all Soviet preparation with white. A choice which implies Fischer decided that while e4 is the best, it is not as good as d4 or c4 against an unprepared opponent. In fact Fischer was sure to face Spassky's Queen's Gambit Declined Tartakower variation, a line Spassky never lost with until game 6. For those who possess The Art of Positional Play by Samuel Reshevsky, there is a chapter about the Tartakower variation which is the best analysis of the defense I have ever read. Whereas in Ruben Fine's Bobby Fischer's Conquest of the World's Chess Championship Tartakower analysis pales when compared to Reshevsky. Unequivocally Gary Kasparov is the greatest but I like to re-evoke the discussion about how strong would a Lasker or Capablanca be in world class chess today. My feeling is any top world player of the past would be world class today if given the same opportunities that today's players have had. It's interesting to note that some local masters regard the likes of Frank Marshall as being "expert strength" when compared to today's masters, while other local masters show them more respect. Still there have been computer studies of games and players of the past that show that there were many tactical flaws in games of the past that were overlooked by these old timers. My feeling is that computers have done a good job in training contemporary player's minds to a much higher tactical skill level. And there are so many games e-published every day, visible almost immediately around the world, so variations are tested more quickly and the current chess junkies can keep a finger on the pulse of the bleeding edge. Whereas before WWII players had to be part of the European tour to be on the bleeding edge. And like Kasparov, we can take our ideas and beat on a stronger than human computer to harden our ideas. Feedback was never so good, pushback never so quick. Just like everything in today's world the cycles accelerate. With more room for improvement. What I think this means is that the greatest chess player is yet to arrive. How would the old timers rank today? 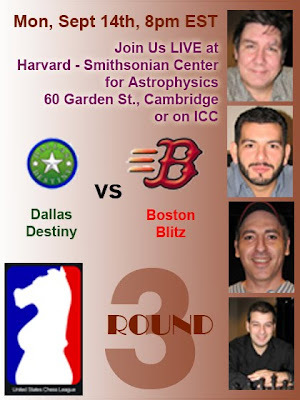 Congratulations to the Boston Blitz on their initial victory over the Queens Pioneers. 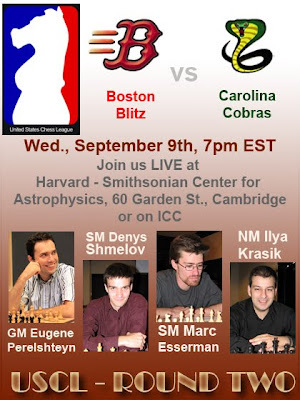 The crosstable below is from the US Chess League site, where you can find the games and loads of other info.